Collectively, they call themselves THE ARTMENS :-) - here is their work. Inspired by a spirited discussion about having a personal relationship with colour on the FaceBook Art Group today, here is something I made earlier - a HypnoDream, "Receiving The Colours." Inner child and art therapy, magic art, energy art, totem making, well, the 14 books write themselves, don't they? Does a picture say more than a thousand words on the topic of The Inner Child? In this second part of the Healing Art series, Silvia Hartmann discusses how to create works of healing art for others, and how to use the healing power of art for the benefit of the healing artist. In this first of a two part series on Healing Art Silvia Hartmann discusses how art can be used to heal, where art therapy often goes wrong, and how art and love combine to bring about a very special form of healing. "Hands of Ghost" from EMO Energy In Motion, you can have more than two, that's why there are three! 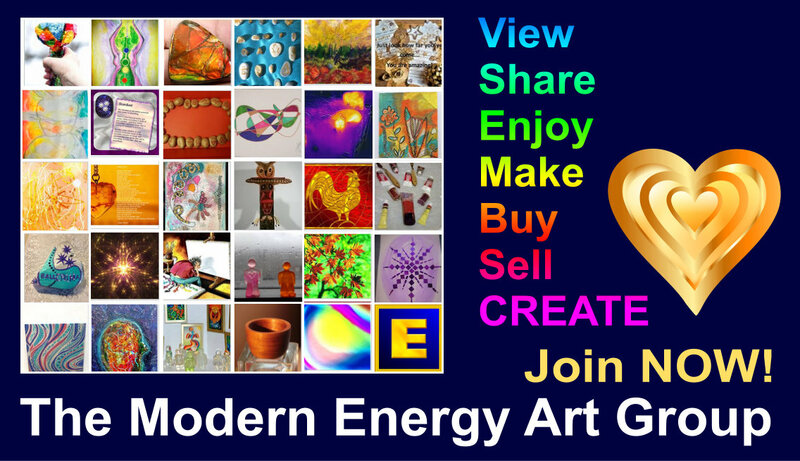 Healing Art - one of the first and most important aspects of energy art is to create works of art with the power to heal. As always, in modern energy, we don't give out false hope or promises of miracle healing through healing art - but we can promise that healing art of the art solutions type will be healing for the energy systems of people, of the environment, a positive influence that can provide additional power, strength, love and other resources that may precede physical healing.